A relatively cheap and accessible destination from Australia, Phuket is situated in the Adaman Sea in southern Thailand. 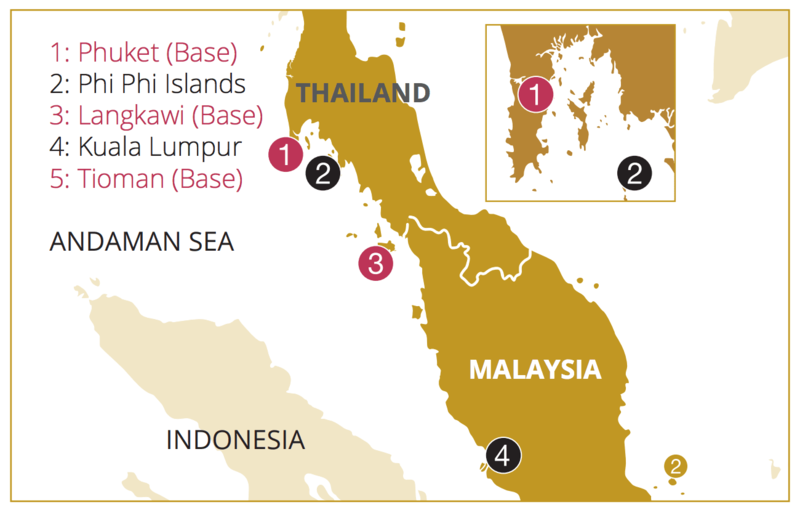 It is Thailand’s largest island and is connected to the mainland by 2 bridges. Phuket is around 48km long and 21km wide from north to south. A very popular tourist destination, but you will find on the western side lush forests and stunning beaches along the coastline. Phang Nga Bay on the eastern side of Phuket is a sailing delight and one of the most popular sailing destinations in Asia. With over 100 islands consisting of striking rock formations and limestone cliffs rising vertically from the ocean floor you will find the area is unspoilt with great marine life and stuning scenery to explore. It is in Phang Nga Bay that you will find James Bond Island (so named after the film “Man with the Golden Gun”) and further afield you will find Maya Bay which was the location of the film “The Beach”. Although many tourists flock to these areas, there are plenty of anchorages just to get away from it all. The Dream Yacht Charter base is located at Yacht Haven Marina on the north eastern side of Phuket approx 20 minutes from the airport. 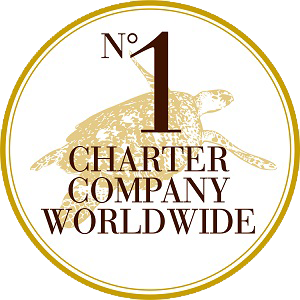 Its’ close proximity to Phang Nga Bay makes it an ideal place to start your charter from. Flights to Phuket depart from most Australian capital cities via Bangkok, Kuala Lumpur or Singapore and there are even a couple of direct flights (see Jetstar) which take around 9.5 hours. 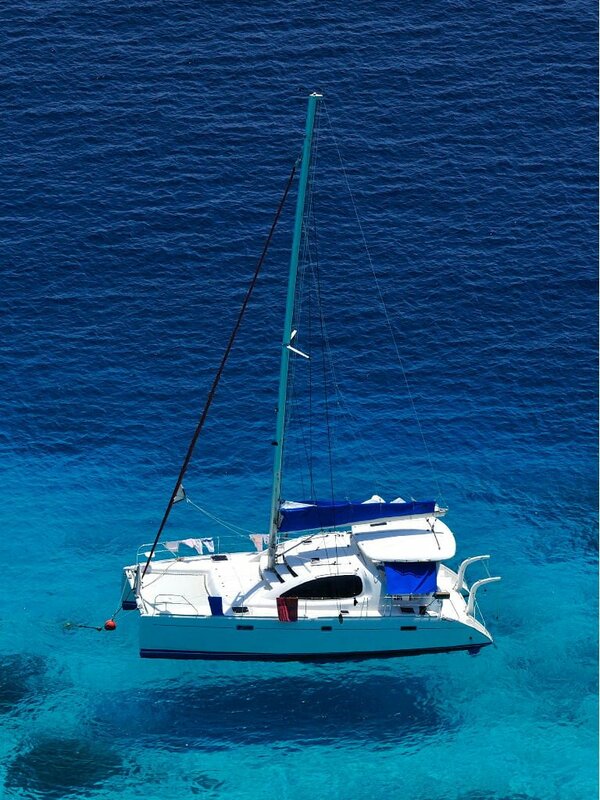 We have a varied selection of vessels from which to choose from in both monohull and multihull designs from Harmony Yachts to Lagoon, Fountaine Pajot and Catana sailing catamarans. 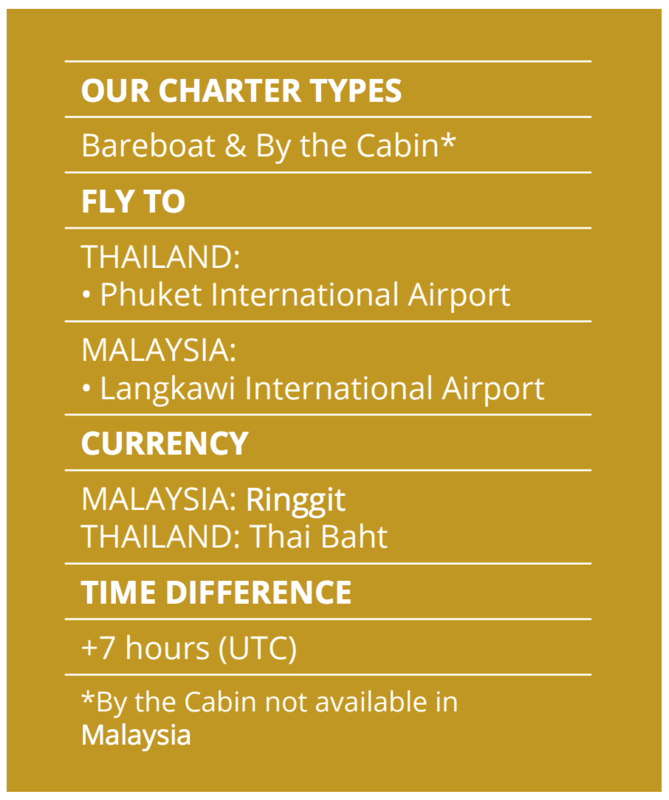 It is possible to charter one way from Phuket to Langkawi or vice versa, but you need to allow an absolute minimum of 10 days as at least 2-3 days will be used checking in and out of each country! 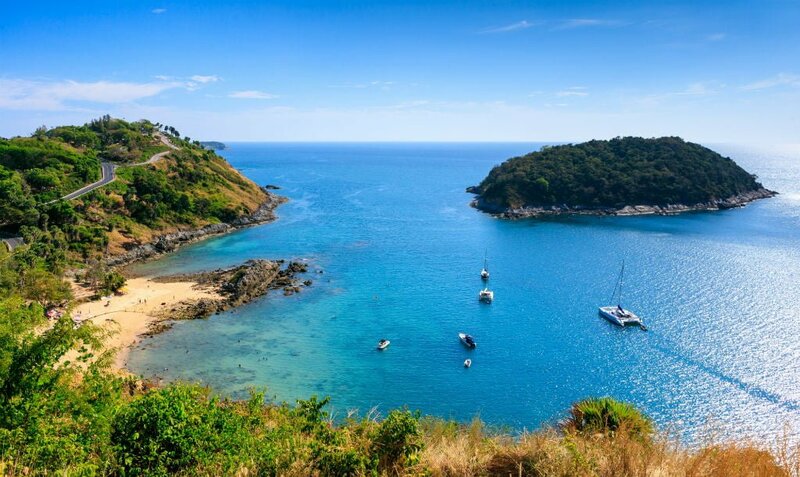 Phuket has a tropical climate with an average temperature ranging between 23c – 33c. There are two seasons a year being the southwest monsoon from May to October and the northeast monsoon from November to April. The southwest monsoon traditionally brings with it rain and rough seas in the unsheltered areas to the south and west of Phuket. On the east cost of Phuket – Phang Nga Bay you will find enjoyable sailing throughout these months in the protected bay which is virtually an all year round sailing playground.